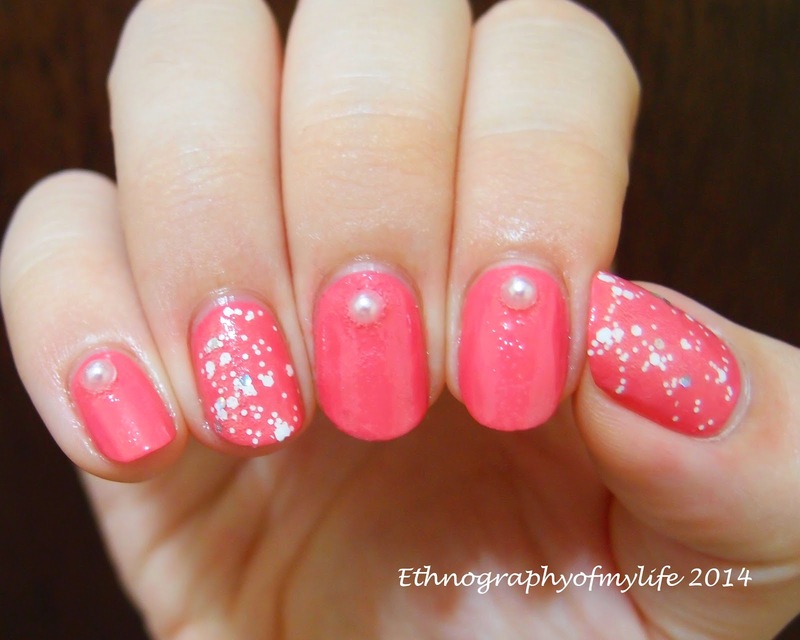 Hi everyone, here's my Chinese Valentine's Day Mani! This year, I decided to go for a simple girly-like direction. It's a very simple manicure, but I thought my bf will like it and he did. I use Peachy Sweetheart as the base, I have this color for a long time but seems like have no manicures using this one yet. 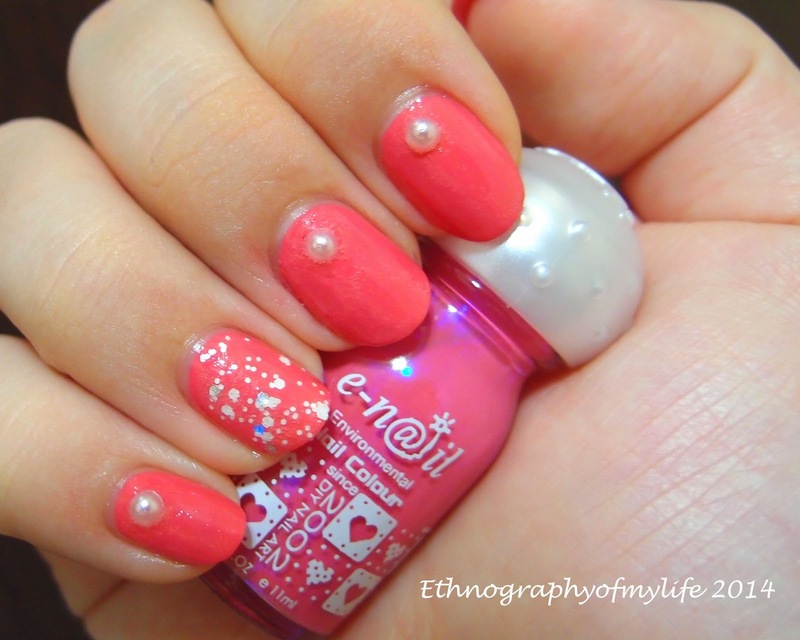 I pat Snowflake, a mix large & small white glitters on the ring finger and thumb. Finally, I put on the pearls I got in Daiso store to complete the look. Daiso really does have broad selection of small items, and they have various nail art supplies from time to time. I really like window shopping in Daiso. You may want to ask me how do I celebrate this day with my bf? Acutally, we didn't do anything and had a very ordinary weekend day. I am tried of celebrating with tons of people in resturant on holidays. We may celebrate next week to avoid that, but no solid plan yet. Anyway, Happy Chinese Valentine's Day everyone!